If you have any questions or want to enquire about dates, use our form to contact Alejandra Fraile Peña. This hilltop finca has cooling breezes in summer, sweeping views towards the Sierra Guadarrama and a garden designed by one of Spain’s top landscape architects. The house itself is exquisitely furnished but as it’s the weekend home of Marta and her family it feels relaxed and homely too. A generous breakfast is whipped up by the on-site caretakers, who can cook and clean too if you want. 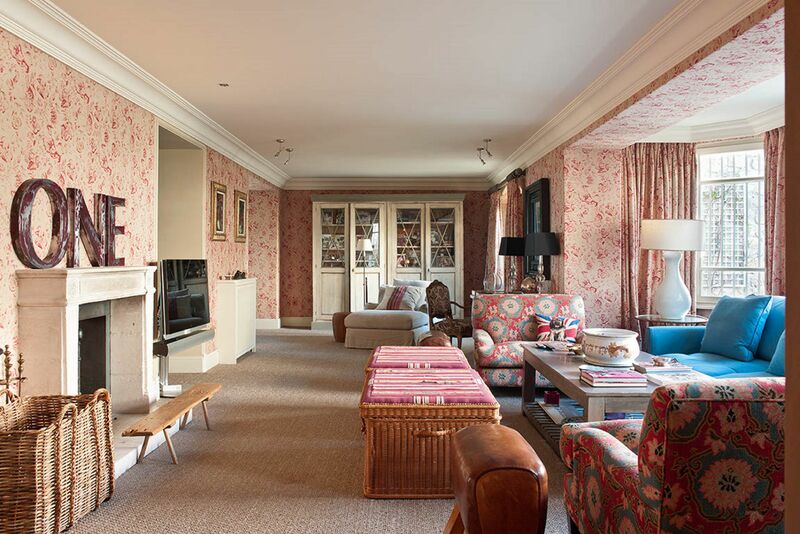 All ages will be happy here and there’s plenty of room to spread out: two sitting rooms with open fires, a large shaded terrace, a games room and garden annexe with a home cinema. The garden has a big swimming pool, tennis courts and a playground. There are good places to eat in Torrelodones, a three-minute drive away, including Michelin-starred restaurant, La Casita. Segovia’s iconic Roman aqueduct and the 18th-century royal palace of La Granja, with gardens in the style of Versailles, are half an hour away, as is the magnificent Monasterio del Escorial, the historical residence of the King of Spain. Minimum stay: 2 nights. Pets by arrangement. Possibility to rent 5 extra rooms in annexe upon request. Meals by arrangement.Restaurants 12-minute walk. If I ever was to hold a family reunion this would be the place. Ideally located, just 35 minutes from Barajas Airport, all motorway, just 20 minutes from the Capital and nestling in the foothills of the National Park of Guadarrama. Also given the homely feel of this attractive house that has everything, including a large and impressive garden, I would not want to move from the Finca! Upmarket Torrelodones nestles in the foothills of the magnificent Sierra Guadarrama and was a quiet mountain village before wealthy Madrid families started spending their summers here. 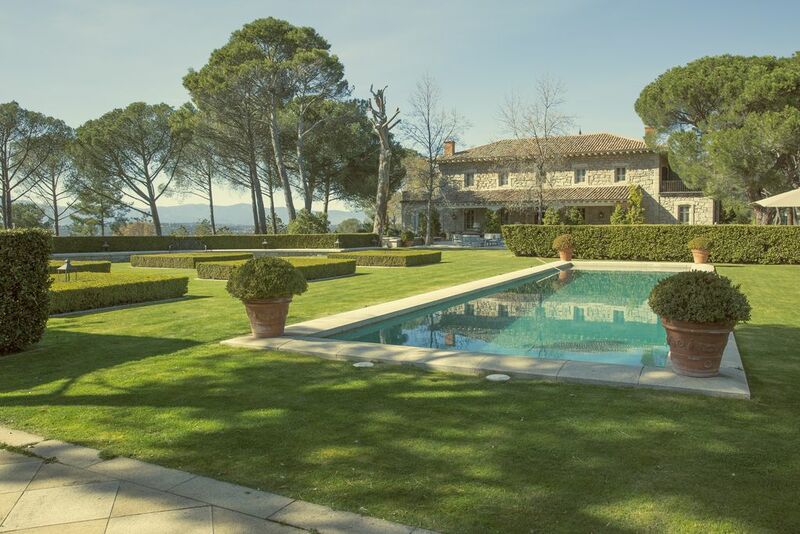 You can drive to Madrid is 20 minutes and reach Madrid airport by train in just 40 minutes, making the house ideally located for an international family gathering. Sport routine available with a running circuit surrounding the house, along with paddle tennis and football courts. The children can also enjoy playing in the spacious gardens. Wake up hearing sounds of nature, while we pick up the eggs that our hens have laid for your breakfast and view the Monasterio of El Escorial through our centenary pines. Experience the hiking paths of the surrounding mountains. 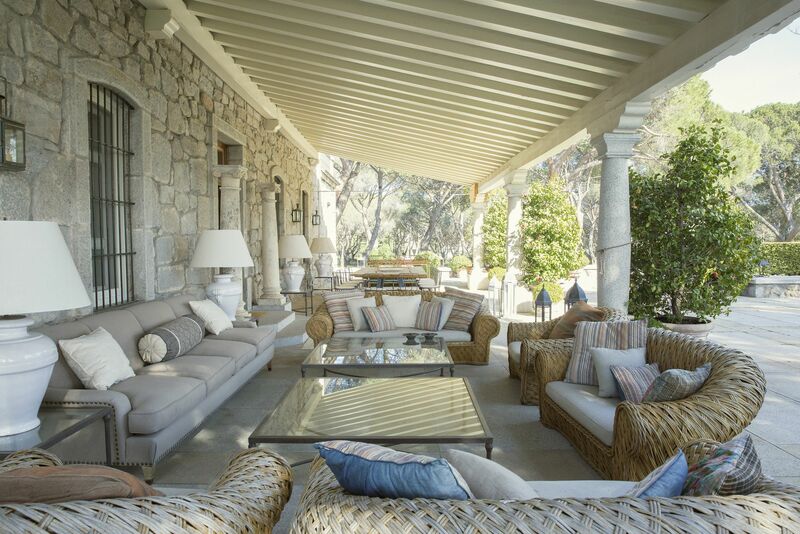 Relax with a cup of vino tinto, sangria or homemade lemonade in one of the numerous patios which the house offers, listening to the sounds of the water fountains, with only a 25-minute drive away from bustling Madrid city centre. Experience the real flavours of Spanish cuisine at the well-known Trasgu Restaurant, a 5-minute drive. Or escape to the well known outlet Las Rozas Village with luxury brands such as Prada, Gucci, Loewe, Burberry, only 10 km away. A typical Spanish meal, show cooking, olive oil tasting, a picnic.. also available upon request. Either Marta or her niece Alejandra will greet you and show you around and are always contactable by phone. A caretaker couple and a gardener live on the property, and there's also a night watchman who monitors the security cameras at night.